There are certain things or concepts in India which we consider to be urban or the ones pertaining to metros or big cities. However, as the trailer of the forthcoming ‘Ek Ladki Ko Dekha Toh Aisa Laga’ exemplified, many of these so-caled urban concepts, such as homosexuality, exist in smaller towns and cities as well. ‘Luka Chuppi’, starring Kartik Aaryan and Kriti Sanon in lead roles, explores the kind of difficulties young couples face when they decide to live-in together in a small town. 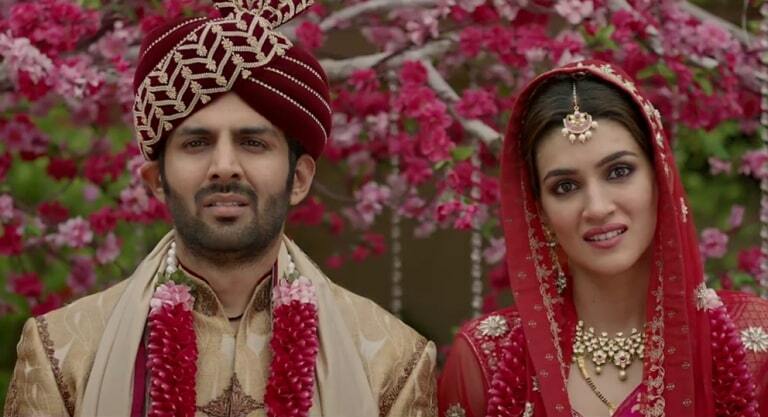 The trailer opens with Guddu (Kartik Aaryan) stuck up with the getting idea of getting married and proposing marriage to aa random girl named Rashmi (Kriti Sanon). Rashmi suggests to him that they should go for a live-in relationship and figure out if they want to be together all their lives or not. Their decision gets them into big trouble as their families get involved and all of this, results in mayhem. Kartik and Kriti make for a wonderful pair and ‘Luka Chuppi’ seems to be the right project for them to come together. The film has been directed by debutante Laxman Utekar, who has several films like ‘Blue’, ‘English Vinglish’ and ‘Dear Zindagi’ to his credit as a director of photography.